Meta Description plays an important role in your blog SEO make your website more search engine friendly if you add these meta tags into your blog posts individually. Meta tags are basically used in our header section of our blog HTML coding. But if you want to adding a meta description to individual posts in blogger blogs then this article is specially for you. In previous article, we will share of how to add a SEO meta description tag in blogger, now in this article, we share how to adding a meta description individually every new posts into your blog. Meta description are used to describe your posts in a 1 to 2 lines ( 150 Characters ). When you writes a new posts and published it, then just from the publishing your posts, you must add the meta tags into your posts, which gives you the more benefits from SEO point of view and make more visibility to your blog posts online. When you searched on the search engines, then you will see that, after post title and post custom URL, you can see the description which also describe that what this page about. 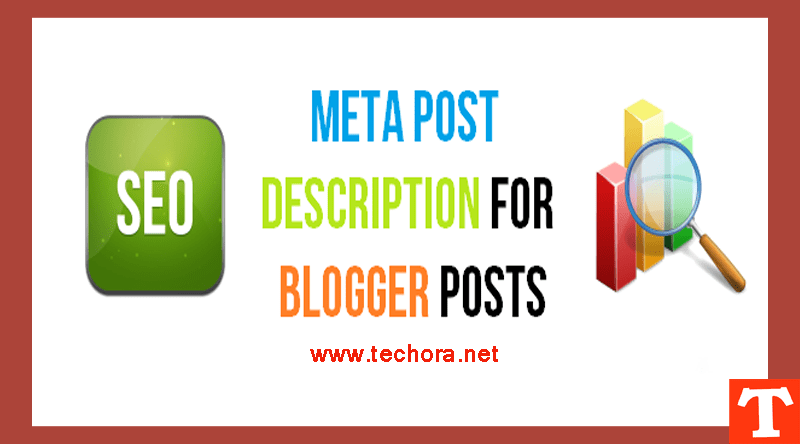 This is called meta description which you can easily add every posts into your blogger blogs. Now see out the demo of our blog below . In blogger new layout, this feature is disable, so you must be enable it before using it. So in this article, I’m telling you how to enable meta description feature in blogger blogs and add a meta tags keywords or description to every new published posts . 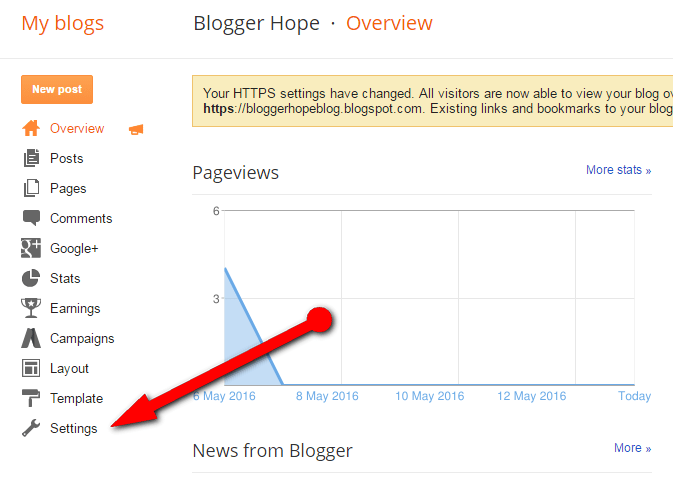 Step 1 – First of go to the blogger.com and go to your blogger dashboard. Step 2 – Select your blog and go to the “Setting” tab. 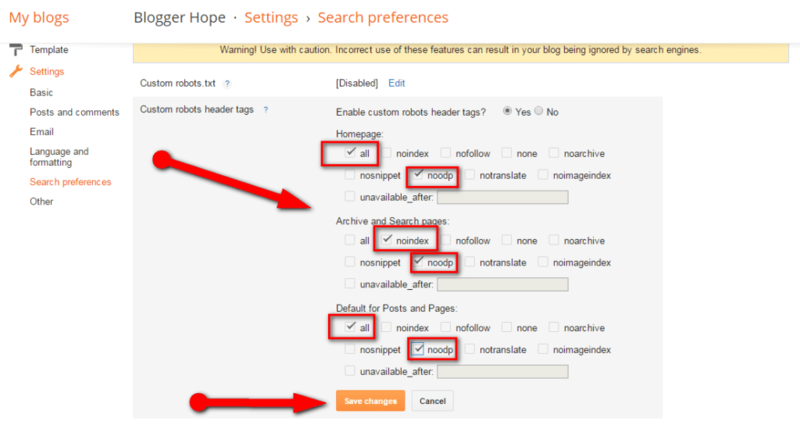 Step 3 – Now go to the “Search Preferences” and on the right side option in the “Crawlers and indexing” options select the “Custom robots header tags” and click on the “Edit” link. Step 4 – After clicking on the “Edit Link” two options open , simply click on the “YES” option . Step 5 – After click on the “YES” link, some options are open, now select the all red colored highlighted boxes as shows in the snapshots, and after this “SAVE CHANGES”. Step 6 – Now you’re successfully enable the meta description options into your posts editor . Go to the post editor area, write your posts and see the right sidebar options , “Search Description” options will be visible, click on it and adding your posts related SEO optimized meta description which will be shown in the SERP’s , when any one searched on the search engines. 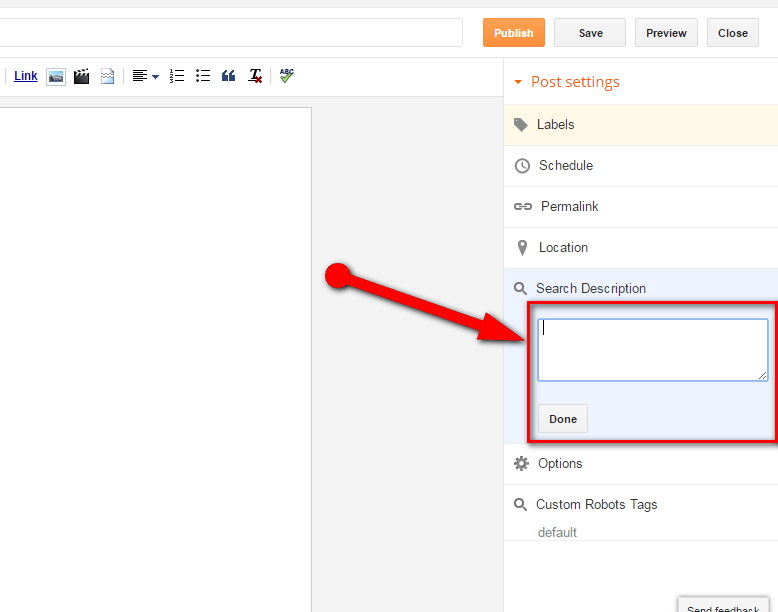 Step 7 – After adding your “Search Description” inside the box, click on the “DONE” button and published your post. In this way, your meta description will be added separately into your blog posts and it will shown in the SERPs. Hope you’ll find it useful and informative article, if you so, then comment below to tell us, and for more our latest updates subscribe us via your email and follow us on all social media sites. Really good info about blogging. I went through your blog and I have completed this section as explained. Such a good and informative things you had shared for us. One point I want to noted that; not just because of SEO but there are various plugins in CMS platforms, that make it more professional and user-friendly. However, I find blogger more user-friendly for the non-technical person like me because of these QUICK SEO settings. Thanks for sharing. We expecting much for the new and advanced information and thoughts from you. This post is an awesome and great source of information for a newbie. Thanks for your nice words. It must be unique for others because i'll tried to improve my all articles with others. So thanks if you like my work ! ! !